We call this the Bailey Crab. 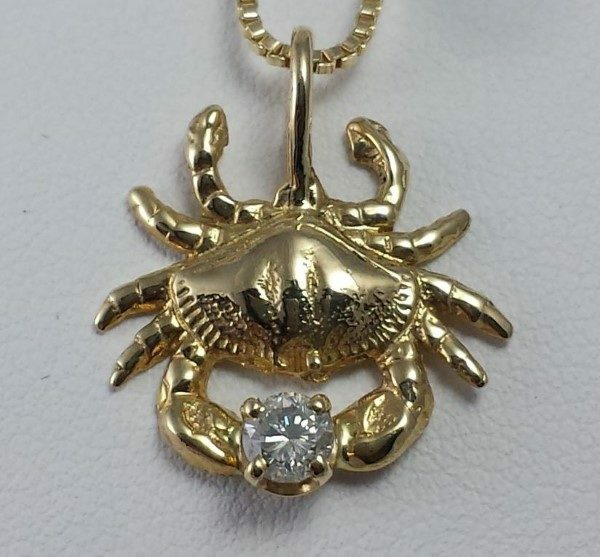 Our fine line of nautical jewelery started with the late Jonathan Bailey over 30 years ago and this wonderful little Chesapeake Bay Blue Crab started it all. This is a legacy piece created by a man who loved the bay and was himself honored as the highest ranking jewelery designer in the world two (2) years in a row. 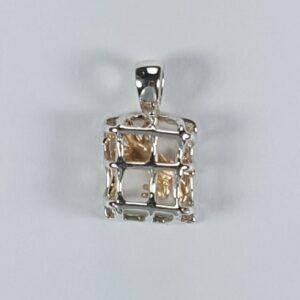 The pendant is cast in solid 14kt Yellow Gold and for a little extra Bling wev'e added an exceptional SI2 G-H .10ct Diamond. 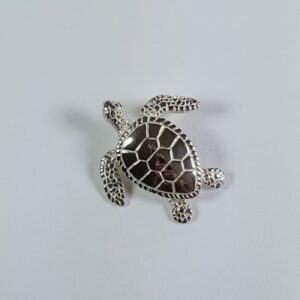 The pendant measures approximately 3/4 inches. This piece like Jonathan himself, truly deserves a place in the heritage of the Chesapeake Bay. Pendant only. Chain sold Seperately. 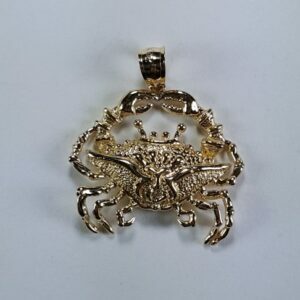 Be the first to review “Bailey Crab Pendant 14kt Yellow Gold with SI2 G-H .10ct Diamond medium 1 inch” Click here to cancel reply.